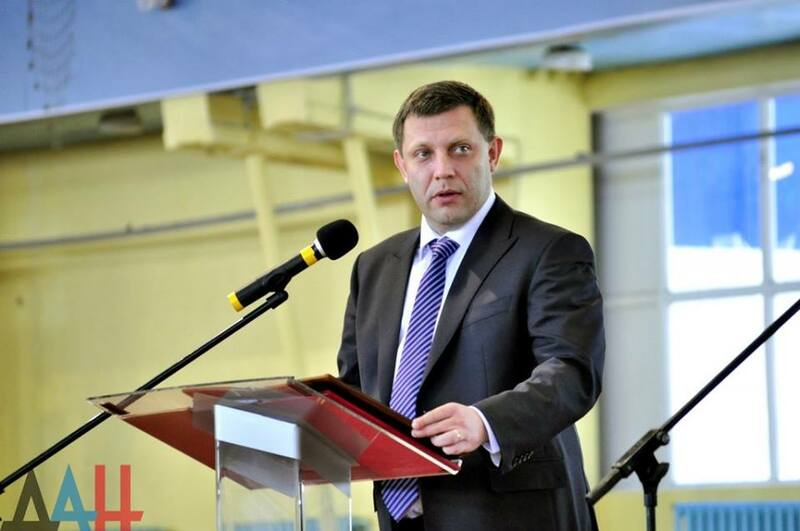 Alexander Zakharchenko invites Crimeans to celebrate Republic’s victory together. As a part of the celebration of the Pereyaslav Council anniversary, in Simferopol, on January 19, Slavic Unity Forum "Forever with Russia" was held. The Head of the Donetsk People's Republic thanked Crimeans for their support and expressed confidence that with such a loyal friend like Russia, soon we will celebrate a great victory of the Republic. On January 14 in Donetsk there took place a press conference of Alexander Zakharchenko during which the Head of State answered the current questions of journalists. - How would you characterize the situation in the lines and is it possible to say that the ceasefire regime you had negotiated for holidays was violated? A. Zakharchenko: I always treat critically any statements on the truce made by the AFU. Ukraine has shown repeatedly that it was neither observing these regimes, nor going to do so. This time hasn't become an exception. They waited two days for the OSCE's sake, and then hostilities were launched again. - One of these days the Cabinet of Ministers of Ukraine accepted the resolution providing issuing passports and other documents to Donbass residents directly on the demarcation line. What is that decision connected with in your opinion? A. Zakharchenko: Some decisions made by the Cabinet of Ministers of Ukraine are psychiatric classics. At first they decided to sell low-priced medicines and prime necessities at checkpoints. They brought businessmen at automatic gun point, forced them to sell goods five times cheaper than the prime cost, they staid there for 3 or 4 days and everything was over. There were other decisions as well, for example, the facilitated procedure of obtaining a refugee status. But it failed. And the decision on issuing passports. Ukraine begins to understand that Donbass has abandoned it completely. First of all, it comes connected with the fact that we have started issuing passports. This process was launched, and it is going on quite steadily. Not so quickly, as it would be desirable, there are technical problems, but they are being solved. Some 40,000 passports were issued. They begin to understand that they won't manage to return us any more. Therefore, this overdue decision was made which would be failed, as well as many others. - How will Kozhevnya's restoration project be implemented? A. Zakharchenko: I have held meetings with people who had been preparing the project. I approved it. The houses appealed to me a lot. Before the outset of construction I gave an assignment to contact all the residents of Kozhevnya and inform them that we were building houses for those people who would live there for sure. That is for the window-dressing to be avoided. As soon as all the information is collected, the construction will begin. - On January 12 the National Council of Ukraine on TV and radio broadcasting signed the document allowing Ukrainian radio broadcast in the DPR territory. Can we can mute this signal and should we do this? A. Zakharchenko: Another example of idiocy. As if earlier here was no Ukrainian radio. Yes, I know that in Chasov Yar there is a station which will broadcast on our territory. But actually, switch on the radio receiver – you will catch a set of radio stations including Ukrainian ones. We could listen to the Ukrainian radio quite freely for these two and a half years. But very few people listen to it, unless so that not to forget the enemy's language. Therefore, I don't consider this issue to be the one raising any serious problems. Nevertheless, I gave the order to prepare technical solution on muting this particular radio, on this frequency. - The Minsk Agreements were prolonged for 2017. How will you comment on this decision, as in the document it was provided for 2015? A. Zakharchenko: I have said already that the Minsk Agreements would be prolonged for 2017 as Ukraine hadn't fulfilled any obligations for past year. The only legitimate document allowing to terminate this war in a peaceful way is the Minsk Agreements. This chance shouldn't be missed and we can refuse it only as a last resort. Time will show how the process will be going on in 2017, and whether Ukraine will begin to fulfil the undertaken obligations. You know that the global situation is changing. Geopolitics vectors are developing not in Ukraine's favour either. And there is an option that in that year Ukraine will be forced – will be grabbed as a mangy kitten, and its nose will be rubbed in the Minsk Agreements for the latter to be observed. - Igor Plotnitsky told that Trump's rise to power can mean a shift in the course of the Donbass conflict's settlement from a dead point. What is your opinion on this point? A. Zakharchenko: It may be like that, but don't forget that Donald Trump is the American President. Yes, taking into account all his statements, a conclusion can be drawn that the US treatment of the Ukrainian question will change. Nevertheless, Trump is the US President, and he as any head of state has to protect, first of all, interests of the state. It's not clear what Ukraine will turn up to be for America. It will be either an outpost of the Western world against Russia, or a suitcase without a handle which is both inconvenient to carry, and too much of a waste to throw out. I think that the first 100 days of the Trump's rule will reveal everything. - The lists published by Nadezhda Savchenko - how adequate and factually correct are they? A. Zakharchenko: The situation around these lists is paradoxical. We cannot reach coordination between the lists provided to us and our lists. I think that Savchenko's lists are not accurate. Another point is of importance. The process of these lists' publication in media slows down the exchange process. And the list itself. It should be studied. - Dutch journalists visited the DPR. They were shooting video-reports about the life in the Republic, besides, they've made a report about the Boeing's crash, and collected several aircraft pieces in the video-production process. After having returned home, they were arrested and all the obtained materials. What do you think it is related to? A. Zakharchenko: This group of journalists was in our territory absolutely legitimately. They obtained all the necessary permissions, accreditation and were engaged in independent investigation of the Boeing's aircrash. I have more than once said that we were interested in objective investigation of this accident. I was shocked deeply by the fact that journalists have found something. The crash happened a few years ago, and pieces and remains can be still found today. It means that the commission which was here and had to collect everything to establish the cause of the crash, failed to have done this. Yes, we can say that hostilities were taking place then and it was impossible to work. But the territory is safe now, and the commission was obliged to come and collect all the remains. And to hand down a truthful opinion. And in the final end – independent journalists arrived, carried out investigation, returned home and were arrested. Not only the collected material was withdrawn, but the equipment containing video-testimonies of local residents telling how everything had occurred, etc. It means that Europe isn't interested in publication of real results of the investigation. Everyone knows that the plane was shot down by the Ukrainian side, but still journalists are arrested, the equipment and all the fragments left after the crash are withdrawn to suppress this fact. And there is another point. Independent journalists get arrested in the democratic Europe where the freedom of speech is sacred and honoured. Once again it bears evidence of double standards. If it is favourable to Europe – it brings democracy and liberal values, and if not – everyone is arrested, everything withdrawn and silence is kept. In this case I will say that this information has reached European residents, even if in such a way. But, actually, it is a crime. Journalists were working here legally. They came back home, tried to tell the truth, and were arrested for this truth. - Will Motorola and Doctor Lisa be immortalized in Donetsk at the public request? A. Zakharchenko: Certainly, I am not against adding a stone to the cairn of Motorola and Doctor Lisa in Donetsk. Concerning Arsen I said at his funeral: the monument should to be erected in Slovyansk, namely on the Karachun mountain. However, activists of the public movement Donetsk Republic contacted me with an offer to place the monument to Motorola in Donetsk. I supported the idea and gave an assignment to develop the project of a monument. By the results of a competition one of the projects will be approved. The same concerns Doctor Lisa who saved hundreds of our children. And though she was not a military, but risked her life repeatedly for the sake of rescuing others. She has made heroic achievements, and it would be the height of ingratitude not to eternize her memory in our land. - On January 13 there was anniversary of the shellings of a bus near Volnovakha. There were also series of tragedies at the checkpoints Kurakhovo, Mayorsk, and Yelenovka caused by the AFU. Do these terrorist attacks present a tendency? A. Zakharchenko: I wouldn't call these literal terrorist attacks. These are shellings, a direct violation of the Minsk Agreements. And in general it is war. We can add to this list the tragedy at a bus stop Bosse in Donetsk, another anniversary and this shelling will come soon. Since 2014 we have been living in this state of war. Series of these tragedies are hostilities initiated by Turchinov and others in 2014. It is a war against their own people in which civilians perish. I will once again remind: we have never opened fire at their cities: neither Kiev, nor Dnepropetrovsk, nor Kharkov. And their actions are a genocide. Unfortunately, these tragedies took place, I can note that they are happening now, and I am afraid that they will occur in the future as well. The only consolation both to bereaved families, and you, me, to everyone, will become our final victory in 2017. This is the only way to stop the war – to win. Only victory or death – we have no other options. I am confident in our military, I saw courage of our women, I know heroism of old men. With such people victory is a matter of time! - Savchenko has stated that she was ready to meet leaders of the DPR and LPR at first in Donetsk, and then in Kiev. Do you consider such a succession of events to be possible? A. Zakharchenko: We live in the times when everything is possible! You may imagine a theoretical situation: Givi's battalion, the first Guards corps is deployed on Paton Bridge, and we have a meeting with Savchenko. And Bankovaya St. is occupied by our signal battalion consisting of women for 90%, these forces will be enough for this object. Savchenko is going along the bridge, and I am passing by. Is it possible? And now let's take it seriously. As for the probability of a meeting in Donetsk or in Kiev, then it is the issue of the parties' security. We, for example, can guarantee security of any person who comes from the territory of Ukraine in case if we consider such a meeting to be necessary for us. I don't think that Nadezhda Savchenko will be able to guarantee security of our delegation to Kiev. Only our military units can provide our security. Therefore, the issue is taken off the table. But there may be a plenty of topics to be discussed at such a meeting. Savchenko is a person believing strongly that she can change lots of things. That puts a new face on the matter. The latest issue she has brought up was the one of amnesty. It is a serious question. Our fighters say unanimously: why do we have to be amnestied? My point is the following. In 2014 in all territory of the Donetsk People's Republic (the former Donetsk region) there took place the referendum by the results of which we announced ourselves independent of Ukraine. Today a part of this territory is in temporary occupation. And if I quote 'president' Poroshenko correctly: Ukrainian occupation of these territories is "tymchasova" (temporary). I agree with this statement. By the way, I am glad that the time has come finally. Unfortunately, many of those who have become DPR residents de facto, are actually at war against us. They were forced into it. And it doesn't matter whether they went there due to arrangements, or forces by hunger? They have taken up arms, serve in the Internal Affairs Ministry of Ukraine, the SBU, and the AFU. I want to address the People's Council with an initiative for deputies to fall into development of the document on amnesty of the residents of the Donetsk People's Republic who hadn't committed war crimes, but participated in the conflict against us willing or not. They should be amnestied. Thereby, we won't violate the Minsk Agreements: as amnesty for participants is provided there and it wasn't specified who will announce it and to whom it should be applicable. These issues can be as well discussed with Savchenko. A meeting can be held in Donbass, but so far it is impossible in Kiev. - Last year, you stopped the adoption of the Tax Code for a number of changes to be made. What is being done to the document, is it in action? 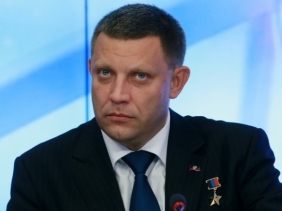 A. Zakharchenko: The process of approval was suspended for a certain term. Today the People's Council made about 250 amendments to the document. The process of changing the Tax Code is still ongoing. In no state, especially in the warring one, can be created an ideal Tax Code, it still won't suit someone. I am sure that all the wishes of representatives of small and medium business will be considered. But, we won't knuckle under to anybody. The priority is the state, but not personal enrichment of businessmen. But we reach compromises, we are ready to listen and make expedient, reasonable amendments. 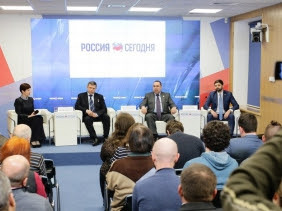 Alexander Zakharchenko: "At the next Pereyaslav Council we need all the territory of Ukraine"
On January 17, a press conference of Donbass leaders dedicated to the Pereyaslav Council anniversary was held in Simferopol in the multimedia press centre of MIA "Rossiya segodnya (Russia today)." Alexander Zakharchenko noted that the Republics are grateful to the Crimea for the fact that it paved the way for the return to the bosom of the Russian world. "It's iconic that this day is celebrated in the Crimea, because the consolidation of Kievan Rus began with the Crimea. The Crimea was the example for us that we have followed. I am confident that further consolidation of the Russian world will take place in Donetsk and Lugansk. I am happy to be in this day in the Crimea. Crimean support of Donbass was basic. When the war started in Donbass in 2014, people from the Crimea came to us to defend our country together," the Head of the DPR said. The leader of the Donetsk People's Republic also suggested electing Chersonese as a place of a new treaty on the reunification of Ukraine and Russia's territories – a kind of analogue of the Treaty of Pereyaslav signed in 1654, if appropriate conditions will develop for this. "In what city a new Treaty of Pereyaslav may be signed? The city doesn't really matter. It can be in done in Chersonese. Excellent location, a milestone. And in what borders of Ukraine? Three hundred-odd years ago it had other borders. During this time, much has changed. We underwent the World War I, the Great Patriotic war. 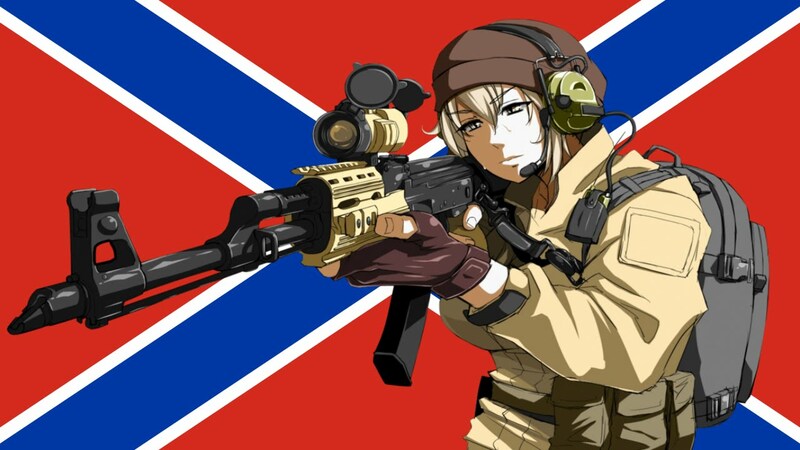 If the next Pereyaslav Council will take place, I believe we should lay claim to the entire territory of Ukraine," the Head of the Donetsk People's Republic answered the question of the journalist. At the same time, Alexander Zakharchenko emphasized that the DPR and the LPR to date continue fulfilling the Minsk agreements, despite the desire of the armed forces of the Republic to take the offensive and defeat the enemy. "As long as there is Minsk, as long as there is the slightest possibility to solve the conflict peacefully, it is necessary to grab hold of it. Because this means thousands of lives, destroyed buildings, infrastructure and industry, which then will have to restore," Alexander Zakharchenko explained. With regard to the impact the US on the end of the civil war, Alexander Zakharchenko noted that he does not harbour any illusions from the inauguration of US President Donald Trump. "Trump is an American, and I think it is not necessary to build any illusions and castles in the air about his presidency. He is pragmatic, a businessman, and he will put the task of considering the interests of America before him in the first place. Only time will tell how they will influence our situation and the political situation in Ukraine," he said. Russian journalists were also interested in the topic of the LDPR interaction with the people's deputy of Ukraine Nadezhda Savchenko. Alexander Zakharchenko had to dispel rumours about the story. The Head of the DPR noted that Savchenko did not come to Donbass, and the only meeting with her with the representatives of the Republics took place in Minsk. "We have returned two women, have received 15 people. The purpose of the negotiations with Savchenko is the exchange of prisoners. The main brake is in Kiev, if the deputy conducts negotiations – we are ready to meet. There is a refinement of the lists at the moment, we continue working," the Head said. He also reiterated his statement that the Republic is ready to guarantee security of Nadezhda Savchenko in case of her visit to Donbass, "We do not care with whom to negotiate, the main thing is their result. She succeeds, - our task is to bring the prisoners home."